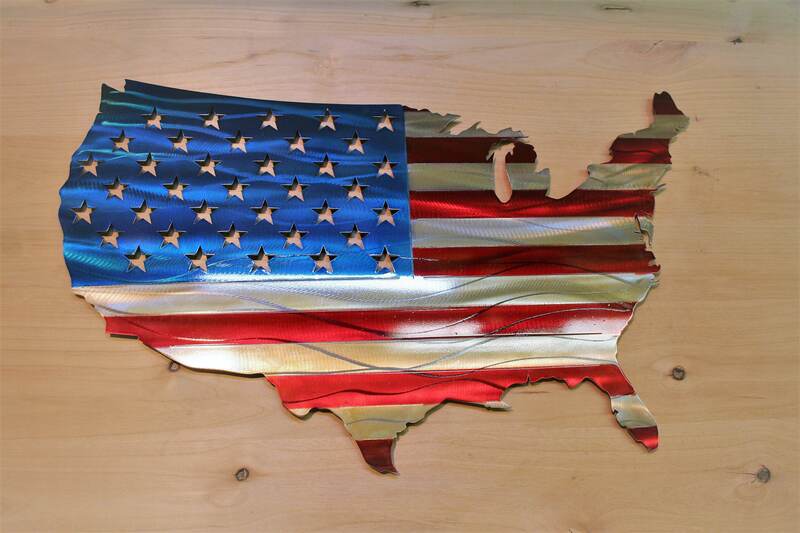 United States of America outline shaped flag makes a fantastic DIY painting project. This bare metal sign is ready to paint! 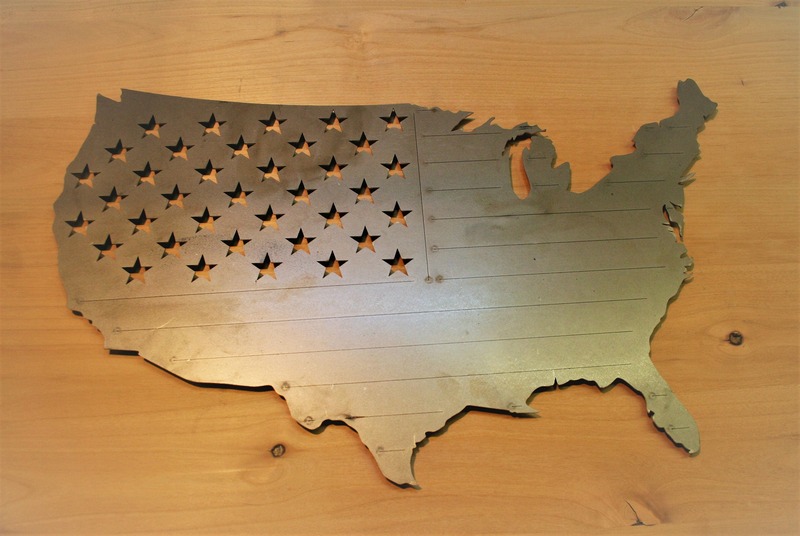 The USA outline is 23" wide and 14" tall. 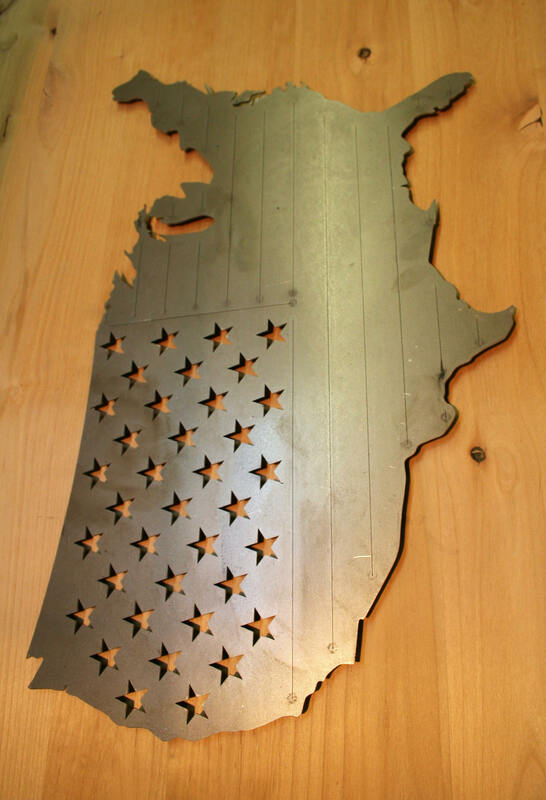 This heavy metal art is cut out of steel about as thick as a nickel. Red white and blue photos are an example of a painted sign. 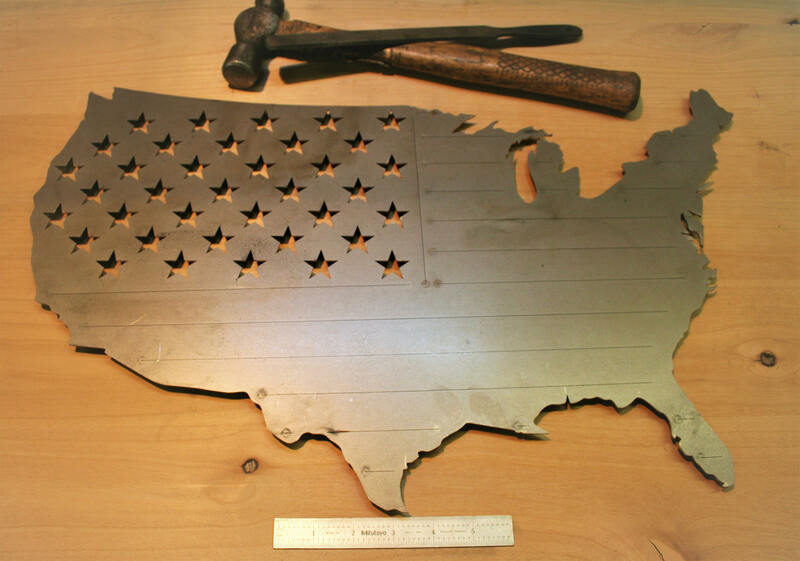 Your sign will ship as raw, uncoated steel. Prices include standard shipping in the US. You can upgrade the shipping rate during checkout if needed. Makes a great DIY gift! Was well-packaged & promptly received! 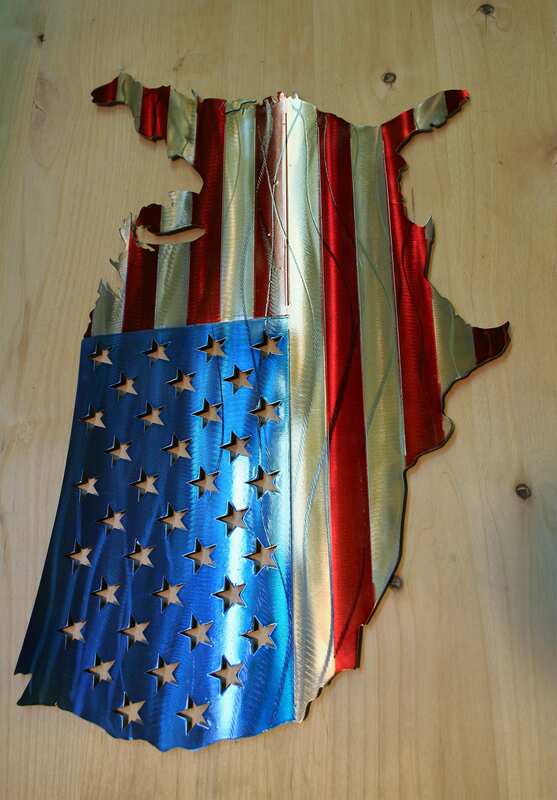 Thank you so much -- it makes a lovely addition to my "FAITH, FAMILY & FREEDOM" gallery wall! 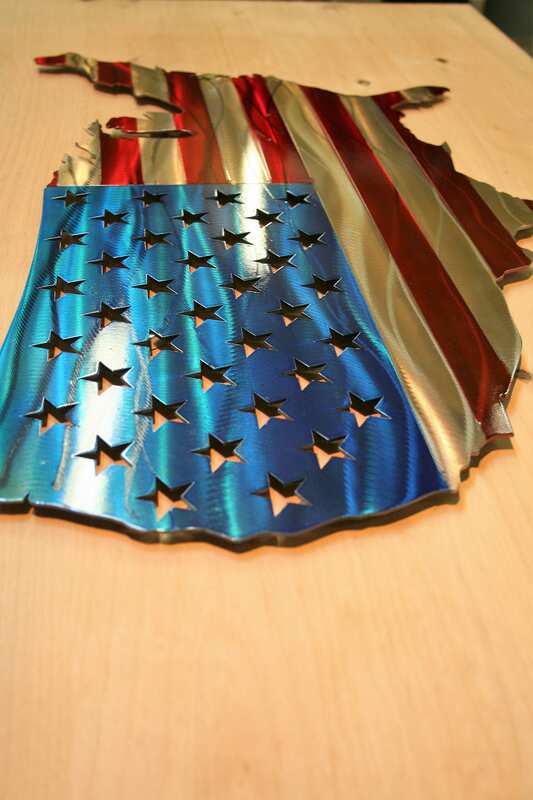 These US shaped flags, are amazing! Love them!! !